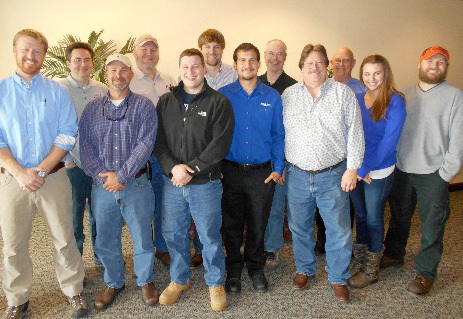 Mount Laurel, NJ March 7, 2014 – Twelve thermographers from around the US recently completed Infraspection Institute’s Level II Certified Infrared Thermographer® training course. Recognized for providing the highest level of certification in the infrared industry, Infraspection’s Level II course focuses on quantitative thermography. The course was taught by Jim Seffrin, Director of Infraspection Institute. Infraspection’s Level II Certified Infrared Thermographer® training course covers advanced infrared theory, equipment calibration, error sources, cross-verification with contact thermometers, advanced equipment operation, use of windows and filters, assigning temperature limits and repair priorities, and quantitative report generation. Infraspection Institute is the oldest independent infrared training and certification firm in the world. Founded in 1980, Infraspection Institute has trained and certified nearly 10,000 thermographers worldwide. During their long history, they have shaped the infrared industry through training, technical consulting, publications, research, standards development, and software development.